My four sisters-in-law are back to their most favourited season of the year. 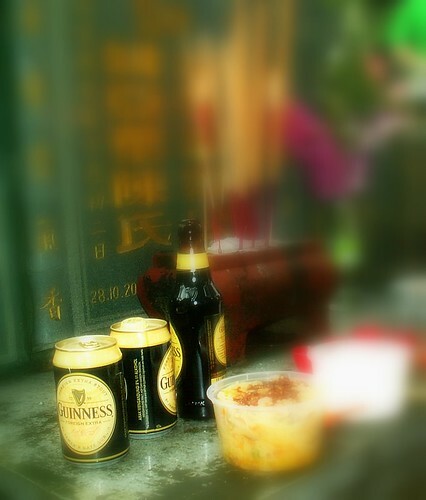 Ching Ming or the annual clearance of the graves fall on April 4th every year. They are now planning how to fit into the annual homage to their parents’ grave and their own inlaws’ graves. The amount of phone calls they made to my hubby is enough to set me off to another bout of PMS. Why do you think I get all tensed over this? Because they need to find a schedule that fits four of them and their own in-laws. Arrggh…why can’t my hubby and his eldest brother just set a date and tell them, “come” or not. 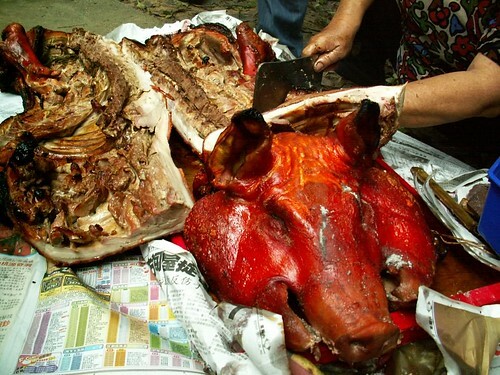 It is usually a grand event where they will bring a whole roasted pig up to the hill where my father in law and mother in law grave is. 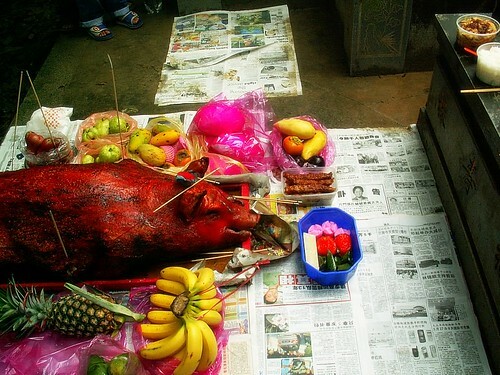 Then, they will chop the pig after being offered for prayers and each will get a share. As you can see above, there are lots of things to be bought and brought up to the hill. That’s when they assign who to buy what and etc. Me? I am now a Catholic and I don’t participate in the papers offerings, foods offerings but I do burn a joss-stick as an honour to my parents-in-law. But I have to make it loud and clear to my children (within the hearing distance of my inlaws) that we are NOT praying. Still, I do get tensed when the inlaws start to tell my little boy to ‘pray to grandma’. I wish people can understand the dilemma I face each Ching Ming. Sorry. Off topic. I just had to. LOL. terence – Remember to throw the head for me as well hor?